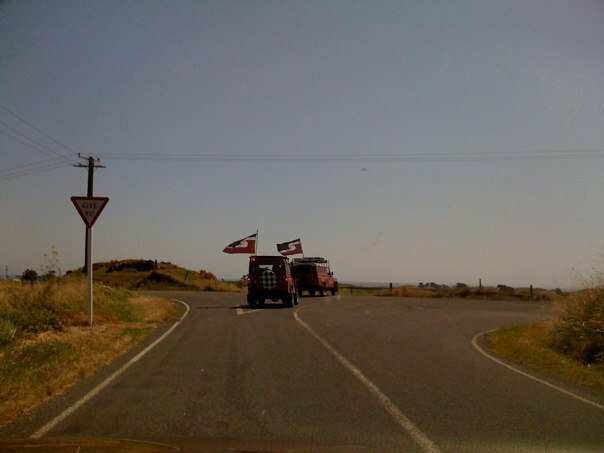 Performance with two Landrovers and Tino Rangitiratanga flags, Parihaka, Taranaki, 6th Feb 2009. 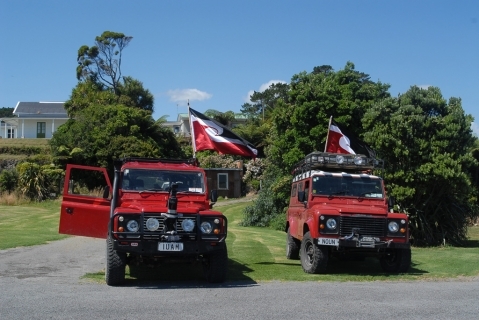 Performance in which two Landrovers in convoy drove the roads from Parihaka Pa, leaving from outside Te Pae Pae Marae, to Cape Egmont (the most western point on the North Island) and back to Parihaka. Video was also recorded simultaneously from each vehicle as documentation. 8.00-9.00pm 6 Feb 2009, Tasman Sea Arawhata Rd – Arawhata Rd Mt Taranaki – Arawhata Rd Tasman Sea, South Taranaki, Aotearoa. Performance with two Landrovers and Tino Rangitiratanga flags, Arawhata Rd, Taranaki, 6th Feb 2009. 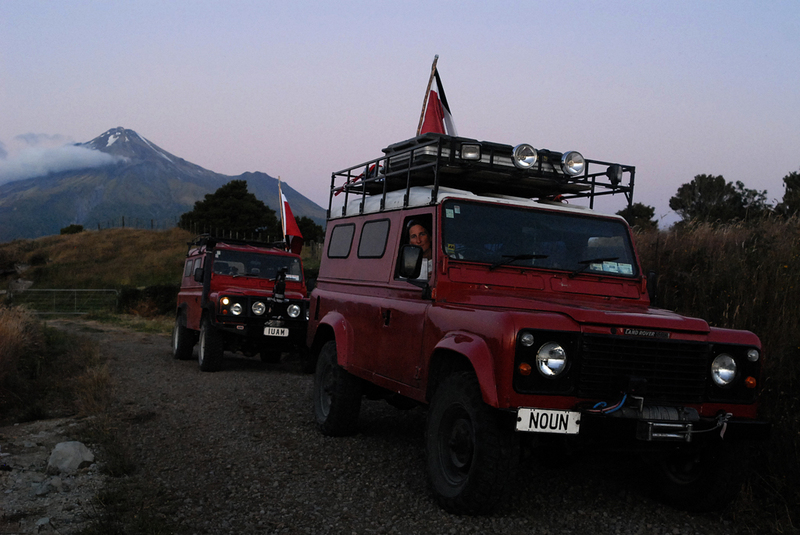 Performance in which two Landrovers in convoy drove the Arawhata Rd from the sea to the termination of the road at the base of Mt Taranaki and back to the Tasman sea. Video was also recorded simultaneously from each vehicle as documentation for video installation.